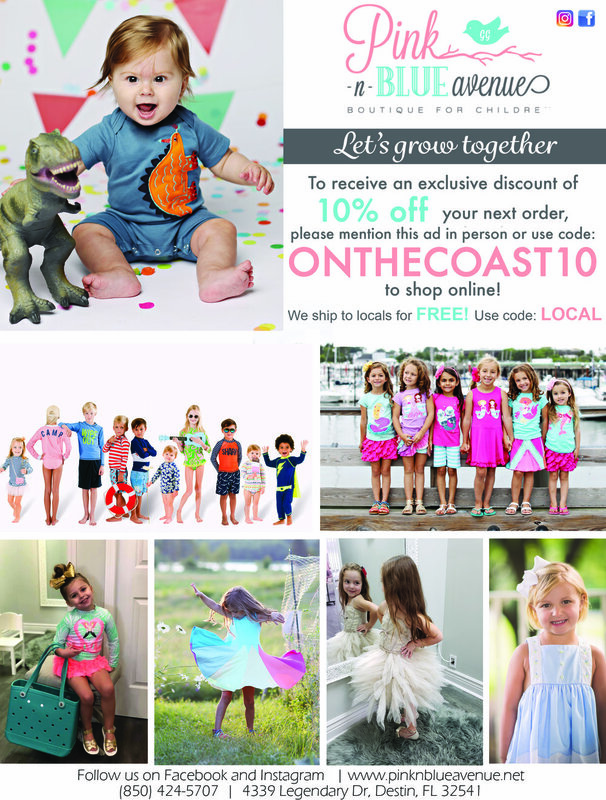 On the Coast Magazine is a lifestyle magazine with a family focus. We're committed to enhancing the quality of our readers' lifestyles through every issue. Our informative, well written editorial is delivered in an entertaining, useful format and includes an extensive local event calendar that keeps our readers involved in the community. Serving Okaloosa, Walton, and Bay counties, some of the best in Florida. Join us for our weekly contest on Facebook as we give away amazing prizes valued from $50 to $300! No purchase, just great fun and a chance to test your luck and experience these great venues. Prizes are drawn by contest computers so everyone has an equal chance of winning each week. Some of our fantastic sponsors include The Seaside Rep, Great Southern Cafe, Rockout Climbing Gym, Lulu's, Gulfarium, The Track, Emerald Coast Theatre Company, Drama Kids, Escapology, Red Bird Art, Just Jump and more! So join in on the fun and sign up for our weekly newsletter. We thank our sponsors for their support of our Magazine. We ask that you support them as well!